June 9th: Time for the SOUND Summer Showcase! Summer is fast approaching, and to celebrate, we’re joining forces with two spectacular groups for an eclectic evening of vocal music. 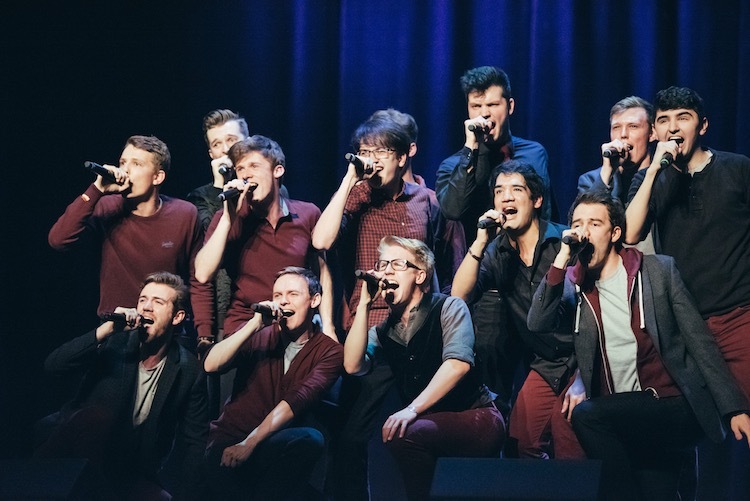 Kindly hosted by World Champion collegiate a cappella group The Techtonics (pictured), the one-night-only gig will also feature Canadian fusion ensemble Autorickshaw as part of their international tour this year. It’s been a busy year for SOUND, and we’re excited about sharing some new music with you – as well as some of our all time favourites! With repertoire ranging from funk and soul to experimental and electronica, it’s an evening guaranteed to have you dancing in your seats – if not up on your feet! March 19th: SOUND @ Chorus Festival 2016Calling all singers! Gig Alert: Merry Christmas and a Happy 5th Birthday to us! Taking over the Town Hall at Crouch End Festival! Showing our Support for The Choir with No Name! Photographs used are copyright of SOUND Choir and Jeff Goldblum. Website build by Ben Morgan.